Do you have a household budget? Why not? Having a working household budget is one of the cornerstones of responsible money management. Budgeting helps you organize your spending and there are also a number of additional benefits beyond that organization. “Although budgeting is one of the most important things that you can do to keep your spending under control and manage your debt, many people don’t take advantage of this tool. If you’re trying to pay down debt and achieve your goals, it is essential that you learn about how budgeting can benefit you,” says Jeff Schwartz, Executive Director, Consolidated Credit Counseling Services of Canada. 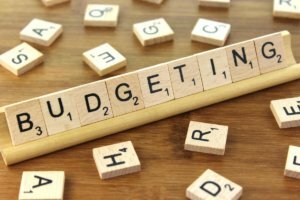 Here is what you can expect when you get that budget in place. If you are feeling like you are overwhelmed with debt, getting a comprehensive idea of your financial picture can help alleviate your stress. It can be a hard reality check to lay out on the table everything that you owe in relation to your income, but it also gives you the ability to formulate a plan to attack your debt effectively. Setting a budget gives you control. Do you feel like you are treading water financially? It’s difficult to move forward if you don’t have a budget, particularly if you’ve got debt to deal with. Setting up a budget that aligns with your financial goals (i.e. pay down debt, build up savings, etc.) will help you keep your “eye on the ball”, motivating you to reach your goals. Additionally, budgeting can help you to prioritize your goals, which will help you achieve them more effectively. An important part of budgeting is tracking your spending. Once you’ve set up a framework for that spending (i.e. your budget) you will be accountable for your spending. This can also help you to identify areas of improvement to help cut expenses, if necessary. If you love to shop, you don’t necessarily have to give it up, if your income and expenses allow for it. By planning ahead, and earmarking some of your income to cover impulse shopping, you still get the benefit of retail therapy without the stress and expenses of accumulating debt to do so. An important part of your budget is the savings column, which you will incorporate when you establish your budget. By including this important line item in your budget, you are making yourself less financially vulnerable should you encounter emergency expenses. It’s no secret that finances can impact relationships in a negative way. It can be challenging to have productive discussions with your spouse so that you can share control over your finances and reach your financial goals together. One benefit of having a budget laid out in front of you is that it is a great tool for conversation. “Having this visual aid can help to direct conversation, avoid misunderstanding and reduce conflict,” says Schwartz. Good money management and spending within your means has a lot to do with adopting positive habits. Setting a roadmap with a budget and following your plan can help you develop those good habits that can keep you out of debt for good. Are you interested in learning how setting a household budget can help you get out of debt? Call us at 1-888-294-3130 or check out our free online debt analysis . Are you ready for the mortgage stress test?